The facade is not just an add-on to the building, it is a key element. In addition to providing the barrier between the building occupants and the outside elements, it is also the first aspect people notice about the building. Why then, in the design process, are facades not modelled to completion with accurate information, the same information that will be used to construct the facades? The reason is the PROCESS. During design, to produce their models and drawing for tender, generally architects rely on their own knowledge and experience, as well as on other consultants in the professional team and often advice from the facade industry. But the professional team normally doesn’t include a facade engineer, and industry advice can sometimes be very self-serving. We have had one project on which the façade contractor gave an architect a façade zone that suited only his system! The architects then put together documentation for the usual Design-Supply-Install (DSI) contract tender process. As a general description of the scope and complexity of the facades on most buildings, this is adequate for the tender and to inform the design of the façade in the DSI process, but nobody on the professional team is producing information for the specifics of the façade. 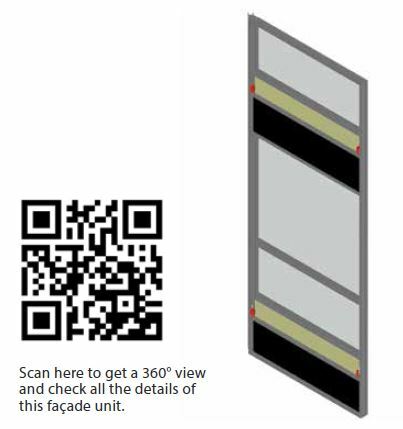 Also, generally the shop drawings produced by the façade contractor are suitable for his fabrication process but they are not in a format that can be used in the 3D design and documentation process being used by many professional teams. That’s what we mean when we say that facades are not getting a fair “shout” at the design table. Further, commonly when the facade contractor finally comes on board, it is too late to make significant changes. For example the façade zone, how the facade meets the brickwork, where the structure steps, all these aspects have already been fixed. As a result, often the façade contractor is asked to resolve problems that should have never existed in the first place! And when it isn’t possible to solve these problems completely, the facade itself and the interfaces to other trades are poorly resolved and this leads to problems with performance in the future. One of the most common problem areas, for example, is where slab waterproofing meets the bottom of a façade. Leaks occur and commonly the façade contractor is blamed, even though the problem is the detailing of the interface between the waterproofing and the façade with both being DSI packages. This, of course, is truer for complicated buildings and less true for simple buildings. Pure sees these challenges from both perspectives, as professionals and as façade contractors, because we work from “cradle to grave” – from solving the geometries, defining systems and creating wire frames as façade engineers within the professional team through to doing shop drawings for the facade contractors. And so we started working out how to bridge the gap between the professional team and the DSI contractors. In fact, and not just with us, it is clear that the role of the facade engineer in a data-driven and BIM-ready environment is already changing. The progressive facade engineers of today within the professional team are already taking more responsibility and producing more information upfront. They don’t just give advice and produce sketches to help the architect do a better job; instead they are producing their own models and drawings to define the system geometries (the wire frame), to describe the types of systems to be used (system definition drawings), and to define the façade zones and therefore the slab edges (a product of the wire frame combined with the system definition drawings) all for the systems they recommend should be used. Less common though, and an area for improvement in our view, façade engineers are also able to recommend glass on a professional level because they are qualified as registered Competent Persons Glazing in accordance with the Building Regulations. This information produced before the DSI tender ensures that the building structure will be ready to receive the facade that they have recommended, thereby eliminating problems that previously were left for the DSI façade contractor to solve. Further transforming the way information must be passed from the professional team to the DSI façade contractors, and of course from the DSI façade contractor to the professional team, more and more project teams are adopting Building Information Management (BIM). In the BIM process, however, it is not enough to feed information “downwards” from professionals to contractors, information also needs to be captured “upwards” from contractors to professionals and hence into the BIM models. Paper-based documentation at shop drawing level just doesn’t cut it, because this is too extensive and complex to be captured by the professional team. For a successful two-way exchange of information, the BIM models produced by the professional and the DSI contractors must both be usable in the BIM environment. Only then can a complete and accurate set of usable information be handed over to the facilities managers. Is this important? Of course it is, if you recognise that only roughly 25% of the cost of building ownership comes from building the building. The other 75% is running and maintaining the building in the future. That is the real value of BIM, beyond the construction process in the hands of the facilities managers. BIM models must go well beyond just the construction phase and link to all the related manuals, specifications, photos, warranties, service records and more. This means that the professional consultants have to take on a lot more responsibility from early in the process, as well as learn to cooperate with the DSI contractors in order to be able to hand over usable BIM information for the operation of the building. Only when there is an upload path for the DSI façade contractor to link his BIM-level information “upwards” in the same format that the professional team is working in, will the facade get a fair “shout” and be properly represented in the design processes of the future. 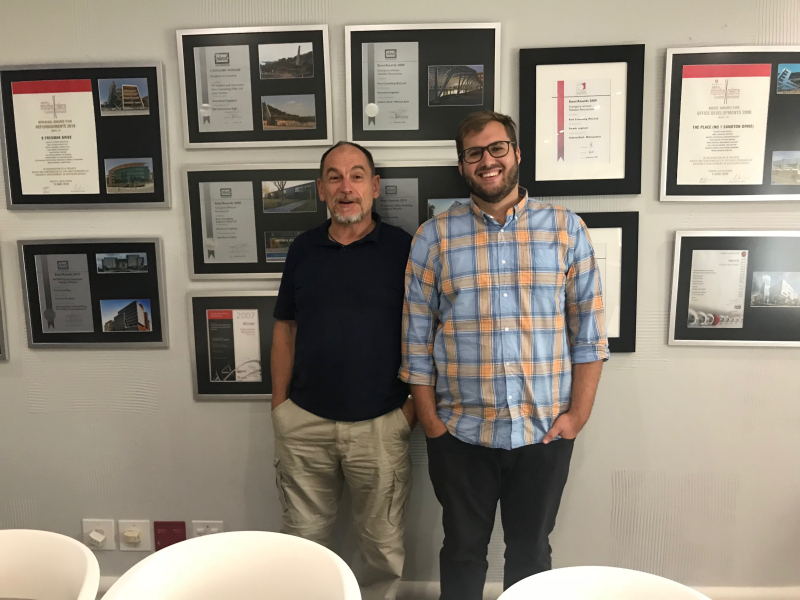 Over the last few years, Pure have worked out how to do all of the steps necessary to complete the upload path from machine code shop drawings all the way back to handing over a full and complete Revit model of the “real” façade to the professional team. 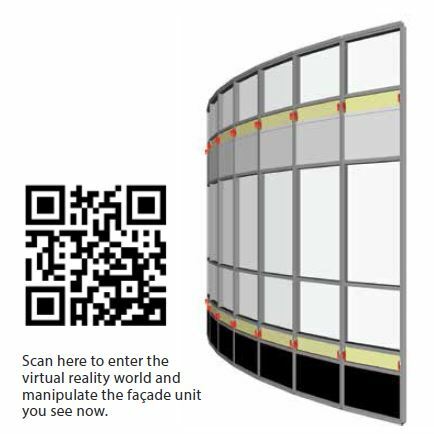 Our processes are not limited to facades, we can design anything using this approach as it isn’t specific to a proprietary product or any particular system for any curtain wall – it is a general toolkit. And this we believe will change everything in the normal process described above. 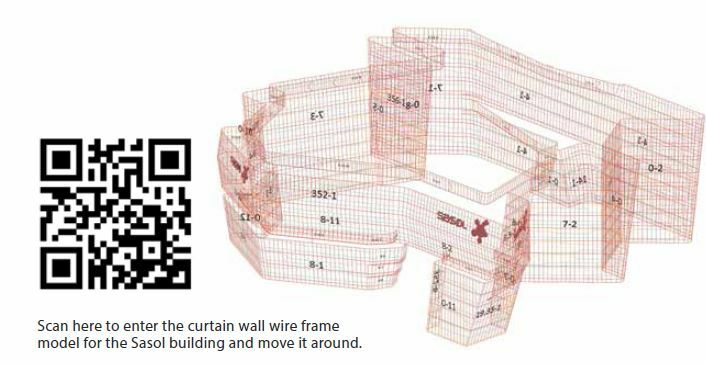 There will be no more paper shop drawings, communication will be by BIM compatible 3D models exchanged upwards and downwards. The architects will replace their own modelling with the shop drawing models. This will unlock the use of software driven coordination and all of the other tools that to date are only useful with the information that is produced by the professional team. Only when this happens will the facades get that fair shout. Once models are being fed upwards, now what you see is what you get. And with Virtual Reality (VR) capabilities, the ultimate is that you can visit the future and walk around in buildings that haven’t been built yet and check all of the details. In fact, we are already using VR for this purpose in all of our work, not just facades but also concrete and steel structures. So in our future world, information will seamlessly flow downwards and upwards. The architect’s concept for the facade in the BIM model will be replaced by the model of the shop drawing as this is the actual facade as defined by the DSI contractor. Just as the architect’s concept for the structure is replaced by the structural engineer’s model of the actual structure, the architect’s concept for the façade will be replaced by the actual facade. So who pays for all of this extra work? Pure recognised that developers might not necessarily see the need and value for this approach and so we needed to find somebody else to pay! Fortunately DSI facade contractors are recognising the value add of this approach to producing production information. The value-add in their hands is that it unlocks a leap in productivity when combined with automated manufacture as well as less waste due to fewer errors. And of course better documentation and better coordination aids with risk management on the project. How does this measure up to other markets? For some reason South Africans seem to be hard wired to believe that we must be behind the curve compared to Europe, the Middle East, the Far East and sometimes even the USA. Not in this case. With this process, South Africa is right up there with the best, if not ahead. We benchmarked what we are doing against the best practice in Hong Kong, Australia, the Middle East and in Britain. Because we straddle the professional to contractor “divide”, which is rare overseas, we found that we are ahead of the curve. In fact, sparked by our questions and the description of what we are doing, we now have interest from a number of companies overseas asking us to do shop drawing modelling to machine code for them as this approach is still pretty unique. As we hope comes across in this article, we are excited about the future and the transformations enabled by technology. Here’s to building the future, we hope to see you there. If you enjoyed this article, please join the discussion on http://www.facebook.com/buildinganddecor, http://www.twitter.com/buildingdecor and https://www.linkedin.com/showcase/10172797/, and sign up for our newsletter: http://www.buildinganddecor.co.za/register/.